Whenever the authorities contemplate raising taxes or introducing new ones to close state budget gaps, they usually look to the Gambling Industry, along with Energy, Telecommunications, Alcohol & Tobacco. Things were no different with the tax and budget measures adopted by the Romanian Government at the end of year 2018 and implemented through the Government Emergency Ordinance No. 114/ 2018 implementing measures in the field of public investments and fiscal-budgetary measures, amending and supplementing normative acts and extending certain deadlines (“GEO No. 114/2018”). Thus, GEO No. 114/2018 brings several tax novelties, some of them with a significant impact on the gambling industry. The top novelty is that, as of 1 January 2019, online gambling operators must pay a 2% monthly fee out of the aggregate amount of the participation fees collected monthly. Further to a review of the legislative process of GEO No. 114/2018 from kick-off to adoption, and a thorough interpretation of the relevant terms defined by GEO No. 77/2009, we may safely say that such fee is applicable to monthly deposits. The new fee has a 4% to 6% impact on the most common key performance indicator in the industry (GGR). Under these circumstances, and considering the additional 3% resulting from bonus taxation, the actual rate of the authorization fee has reached approximately 25% in Romania, one of the highest in the European Union. This fee must be calculated, declared and paid to the state budget by (and including) the 25th day of the month following the one when participation fees were collected. The fee will be calculated according to an order of the President of the National Gambling Office (ONJN), and it will be declared and paid according to an order of the President of the National Agency for Fiscal Administration (ANAF). GEO No. 114/2018 also provides for the establishment of a self-financed scheme subordinated to ONJN, to promote compliance with the principles and measures of socially responsible gambling. The regulation of this scheme caused the repeal of the provisions in GEO No. 77/2009 on the establishment of a foundation of public interest which should have had as its core objective the compliance with socially responsible gambling measures. The new scheme has a similar purpose to the foundation of public interest under the former regulation. Also, the annual contributions owed by gambling organizers as revenues of the new scheme are similar to the former regulation. Practically, operators’ obligations, as regards the amount of owed contributions, remain the same, and the main novelty consists mainly of the legal nature of this new body. The revenues of the scheme will be used to prevent gambling addiction and will be directed towards activities and programs for the protection of young people and players against gambling, the prevention and treatment of gambling addiction, responsible marketing and advertising, prompt and efficient resolution of disputes between gambling organizers and players, under the conditions and in accordance with the procedure set out by order of ONJN’s President. The annual fee on gambling permits for each class A slot machine was increased from EUR 2,600 to EUR 3,600. This article was written by Cristian RADU, Partner, and Claudiu FILIPOIU, Associate, of Țuca Zbârcea & Asociații Tax. 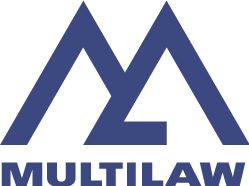 The firm is a member firm of Multilaw.